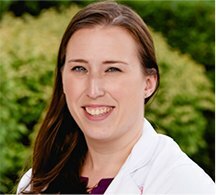 Kimberly Q. Atwood, PA-C has worked for Durham Nephrology since 2017. She completed her BS in Food & Nutrition; Minor in Business in 2008. She completed a Dietetic Internship Program in 2010 and Masters in Human Nutrition in 2011. She worked as a dietician until she decided to return to school to complete her Masters of Health Science & Physician Assistant Certificate in 2017. Kim works with the physicians helping to take care of patients in Duke Regional Hospital, several Fresenius dialysis units and Durham Nephrology’s Durham and Oxford offices.